Face Infusion is an advanced system for the trans-cutaneous infusion of topical agents. It synergically combines microdermabrasion and controlled transdermal delivery of active ingredients. Face infusion is a non-invasive and pain-free procedure to correct certain skin abnormalities that originate in the epidermis and in the uppermost layers of the dermis. 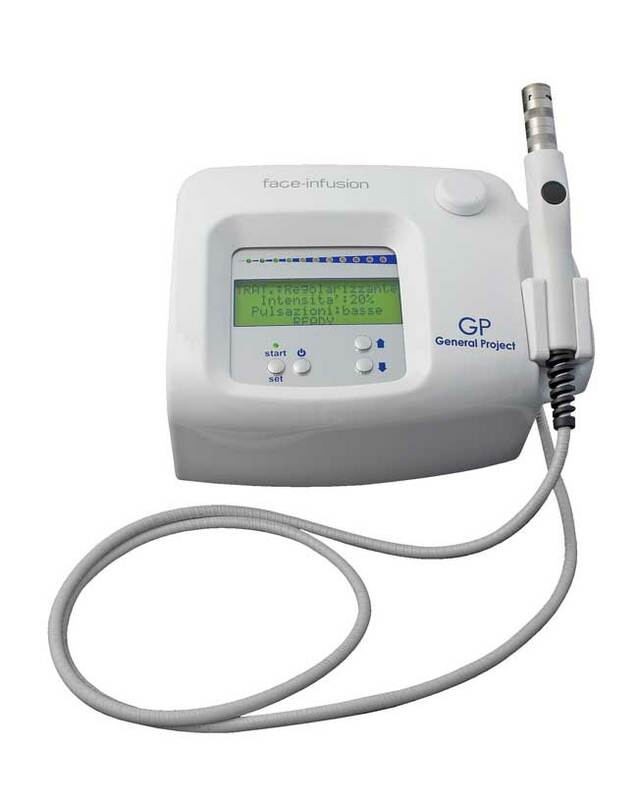 How Face Infusion benefits your practice? How Face Infusion benefits your patient? What can you treat with Face Infusion? Face Infusion’s body handpiece designed for treatment of larger body areas, such as the abdomen, back, buttocks and thighs. Face infusion’s specially designed handpiece with circular diamond crown carries out abrasion via mechanical micro pulsations. At the same time it releases topical agents, which are delivered by the micro currents to the deepest layers of the skin.